Linear guides are machine elements that enable the movement of machines or components in linear direction. They are available in the form of roller bearing guides (e.g. linear ball bearings, linear roller bearings or profile rails) or as sliding guides (e.g. dovetail guides or linear sliding guides). Linear guide drives are mainly screw drives, lifting gears or a combination of both. 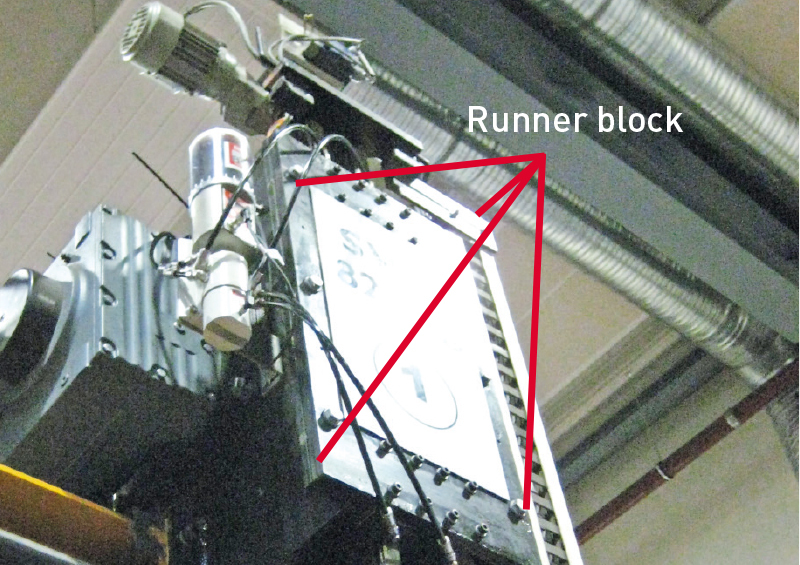 Lubrication points are located on the runner block and, if required, on the drive (spindle and / or gear rack). A continuous supply of components with fresh lubricant is a basic requirement for achieving the projected service life. 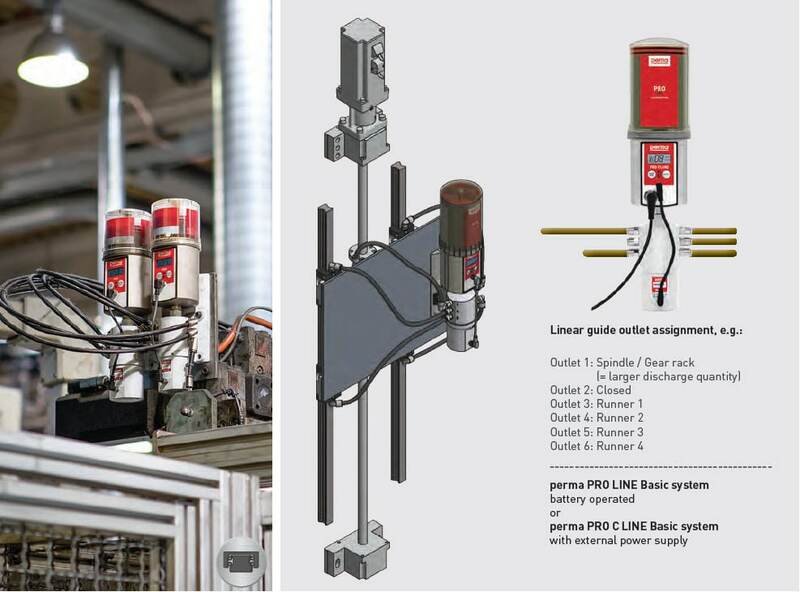 On account of the special design and varied use of linear guide systems, lubrication points in these systems present a challenge for efficient and preventive maintenance. Lubrication points can often only be accessed with assistive equipment. The consequences are neglected or insufficient lubrication of the components. Many lubrication points must be lubricated exactly according to manufacturer specifications while the equipment is in operation. Different lubrication points require different lubricant amounts. Improper lubrication can cause equipment component failures and reduces productivity and cost effectiveness.